Your holiday hotel for activities, wellness and cuisine. Only a few kilometers south of Wörthersee (Lake Wörth) in the sunny Carinthian Alps lies Keutschach am See. The idyllic village is surrounded by four lakes and the almost untouched natural reserve. Many hiking trails, nordic walking trails and mountain bike trails lead you into the wonderful mountainous landscape. 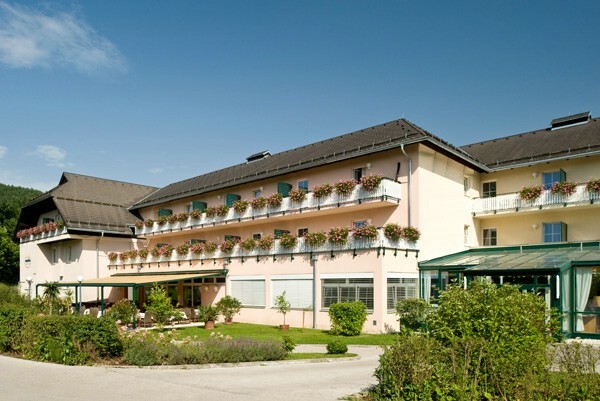 The sonnenhotel is located directly at the picturesque Hafnersee. Our 73 rooms and 20 apartments are bright, friendly and furnished with attention to detail. The view of the green countryside or the lake will inspire you. Some of the rooms have a balcony. Relax in our sanarium, a low-temperature hotair bath, or work up a sweat in the Finnish sauna. A steam bath, infrared cabin and jacuzzi complete the spa area. A gym is also available for daily sports. At our restaurant we spoil you with national and international cuisine as well as typical Austrian delicacies. The offer varies between delicious theme buffets or a seasonal menu with a fine selection of dishes. In good weather you can enjoy your meals on our terrace. Arrival time from 3.00 pm (hotel room) and from 4.00 pm (apartments), departure time until 10.00 am. Our restaurant hours are breakfast from 7.00 to 10.00 am, lunch from 12.00 to 2.00 pm, dinner from 6.00 to 8.00 pm. The nearest train station is in Klagenfurt (about 15 km away), There is also an airport. The nearest motorway (A2 Südautobahn) is approx. 20 km away.